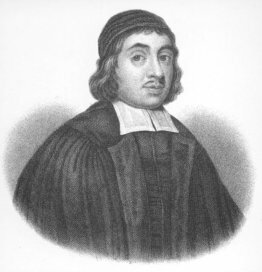 Thomas Watson was an English Nonconformist Puritan preacher and author. He was also vicar of St Stephen Walbrook, one of a long line of controversial clerics, of which he may even have been the first. Read with seriousness. The Christian life is to be taken seriously since it requires striving and not falling short. Persevere in remembering what you read. Don’t let it be stolen from you. If it doesn’t stay in your memory it is unlikely to be much benefit to you. Meditate on what you read. The Hebrew word for meditate’ means to be intense in the mind’. Meditation without reading is wrong and bound to err; reading without meditation is barren and fruitless. It means to stir the affections, to be warmed by the fire of meditation. Read with a humble heart. Acknowledge that you are unworthy that God should reveal himself to you. Don’t stop reading the Bible until you find your heart warmed. Let it not only inform you but also inflame you. Put into practice what you read.